Well, we made the decision that if we are going to live on a boat, we best become good swimmers. A couple years ago, we ambitiously decided that we would try to swim to Gull Island from downtown Northport. It is a 5 mile swim. We failed. 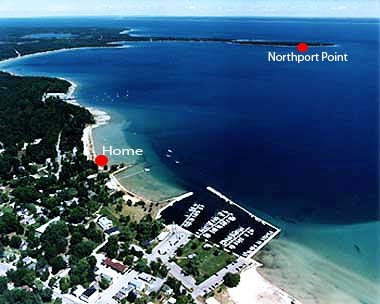 This summer we decided to try another “long distance” swim of 2 1/2 miles from downtown Northport, to “The Point” 2 1/2 hours later, we were successful.